Bottleneck Gallery has teamed up with artist Jim Pollock to release this fun statue of one of Jim’s classic subjects, the Walking Fish! Pollock’s beloved fish really comes to life as a 3D sculpture, with every detail – like the patterned fish scales in the body and muscle marks in the legs – perfectly rendered and crafted in these pewter statues. 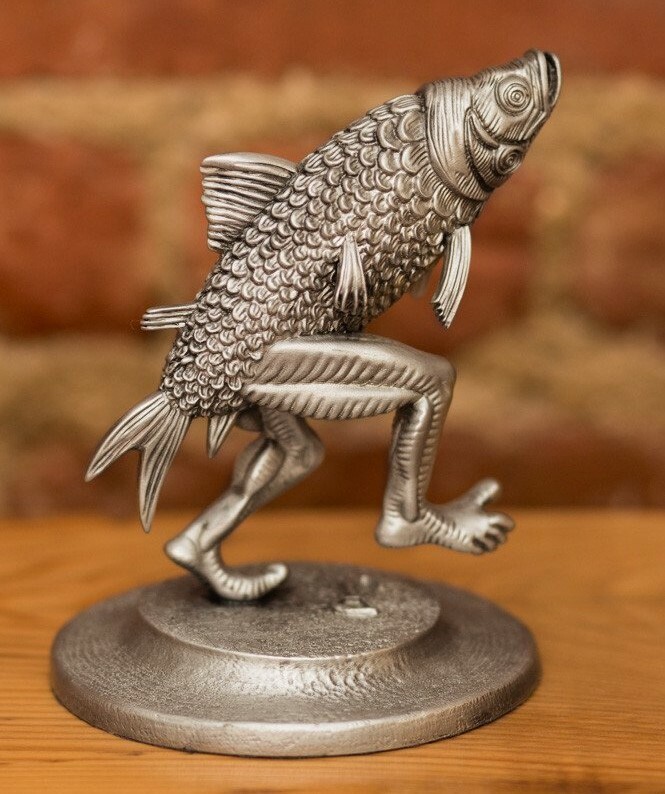 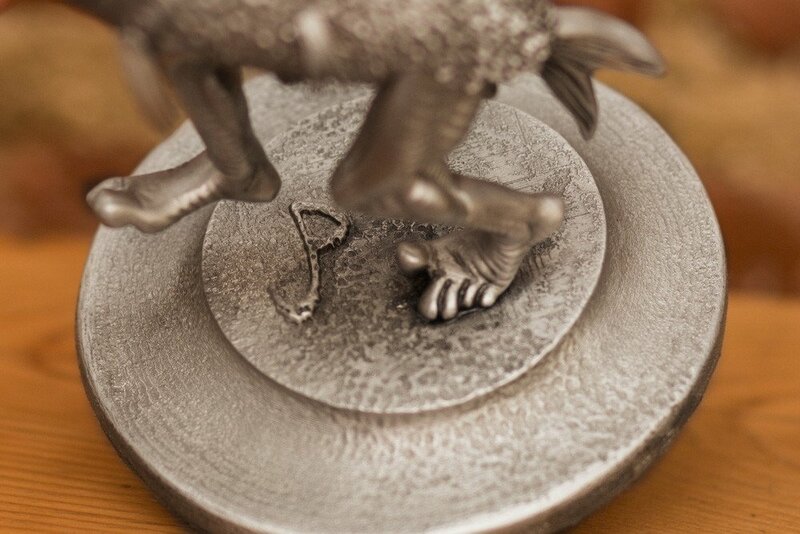 Walking Fish by Jim Pollock is a 5” tall pewter statue. 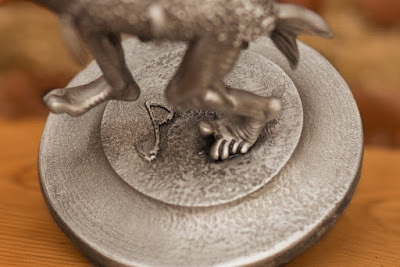 The Standard Edition is limited to 500 pieces and will retail for $125, while the Bronze Plated Variant is limited 50 150 pieces and will retail for $175. 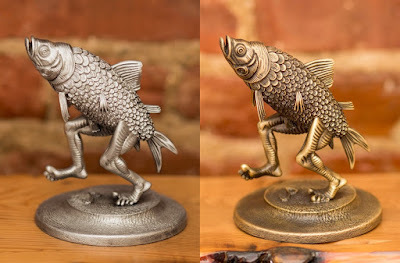 Both versions come in a hand numbered box and are available for purchase now at the Bottleneck Gallery online store.